Brad Yates is known internationally for his creative and often humourous use of Emotional Freedom Techniques (EFT). 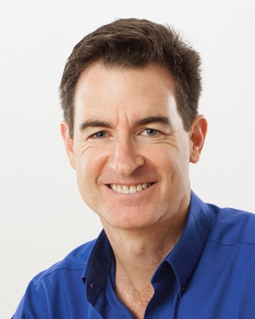 Brad is the author of the best-selling children's book "The Wizard's Wish," the co-author of the best-seller "Freedom at Your Fingertips," and a featured expert in the film “The Tapping Solution,” He has also been a presenter at a number of events, including Jack Canfield's Breakthrough to Success, has done teleseminars with “The Secret” stars Bob Doyle and Dr. Joe Vitale, and has been heard internationally on a number of internet radio talk shows. Brad also has well over 600 videos on YouTube, which have been viewed over 12 million times, and is a contributing expert on the Huffington Post.